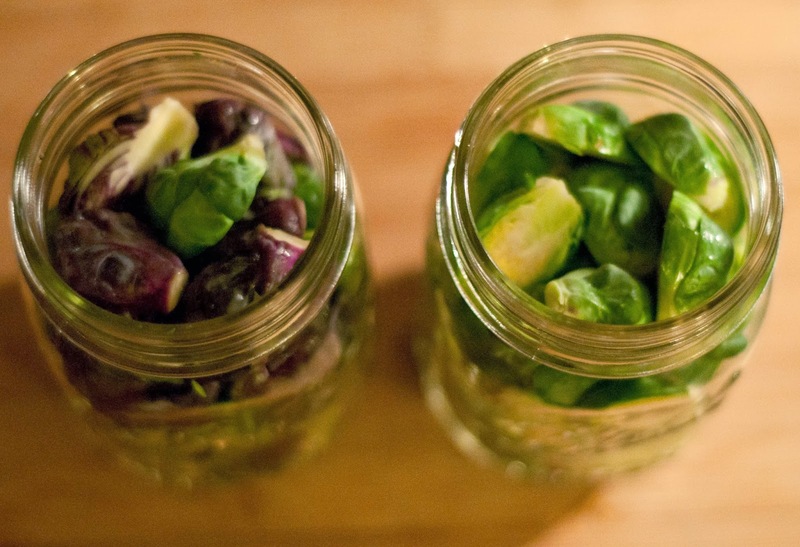 If you follow my blog regularly I think you have gotten the point...I love Brussels sprouts. 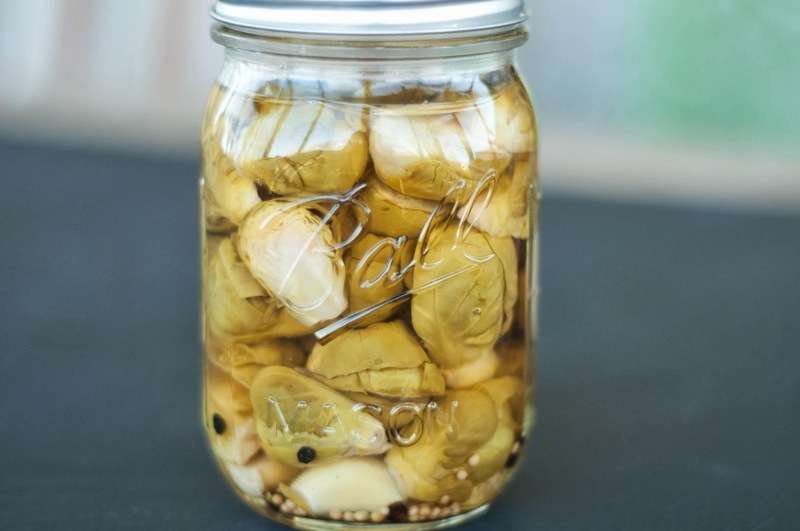 Growing them, selling them, talking to customers about them, seeing their excitement by how cool they look, eating them, and now I can add to the list...pickling them! I grew a small amount of red Brussels sprouts as an experiment. I can't say that it was exactly a success. 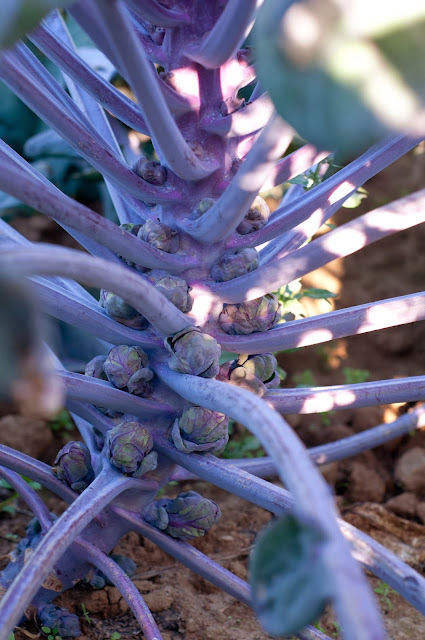 Most of the stalks bore "fluffy" Brussels...spheres that were soft like a flower. Not desirable. 3. "topping" the stalks - this means you cut off the very top of the stalk so that the plant will put it's energy into producing the little sprouts rather than growing tall...I didn't top them so #3 is out but good to know for any brave home gardeners who are going to take on Brussels sprouts. ﻿﻿﻿﻿So since I didn't really have enough to sell or offer on the Buying Club I decided to do a little canning. 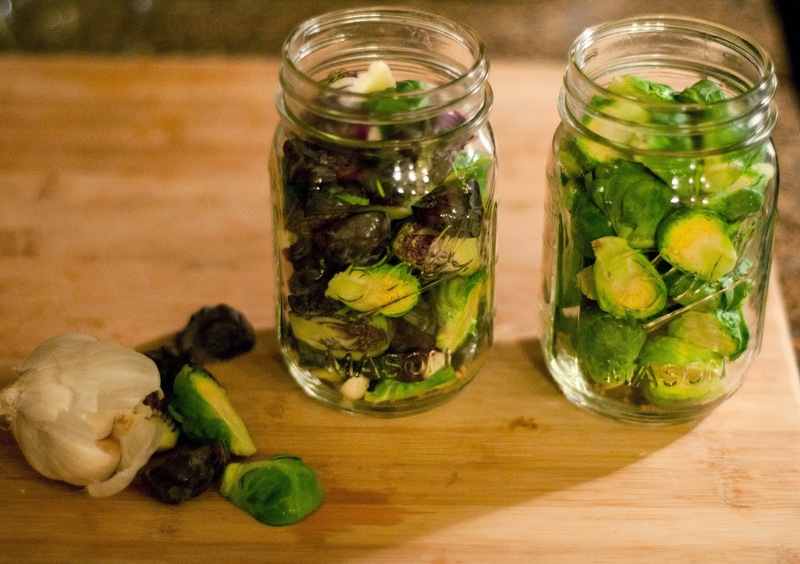 I did jars of green (left overs from what didn't go into Thanksgiving week Buying Club boxes) and mixed jars of both green and red...I thought how festive. The most fantastic looking thing I have canned so far. 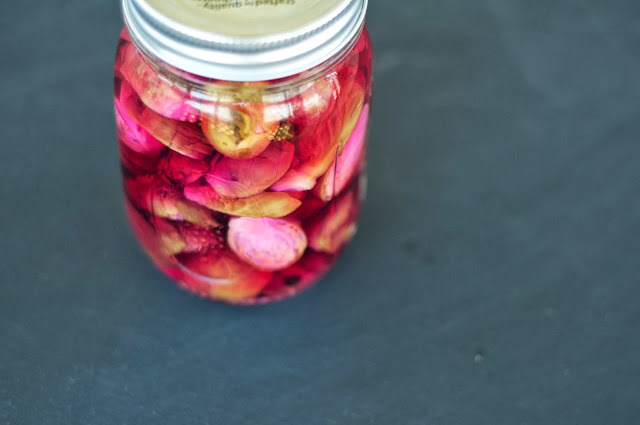 Don't get me wrong...I can't get enough canned peaches or fennel relish but these little gems are just...special! The Recipe I used comes to you via Serious Eats from Marisa McClellen. 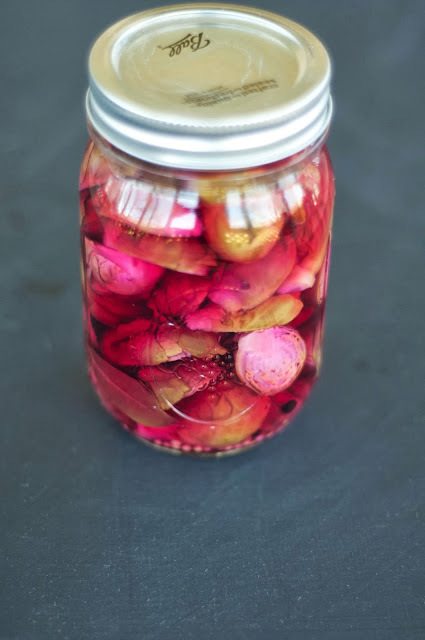 Any pickling recipe with apple cider vinegar has me sold! I love it. In actuality you can substitute which ever vinegar you like best in recipes as long as they are at least 5% acidity.